“Very few schools had an opening this late in the game. I don’t know of any good Division I team that was willing to come to Clemson with no return. As long as we have the current system in college football where you lose one game and you are probably out of the national championship picture it will be hard to schedule good optional non-conference games. 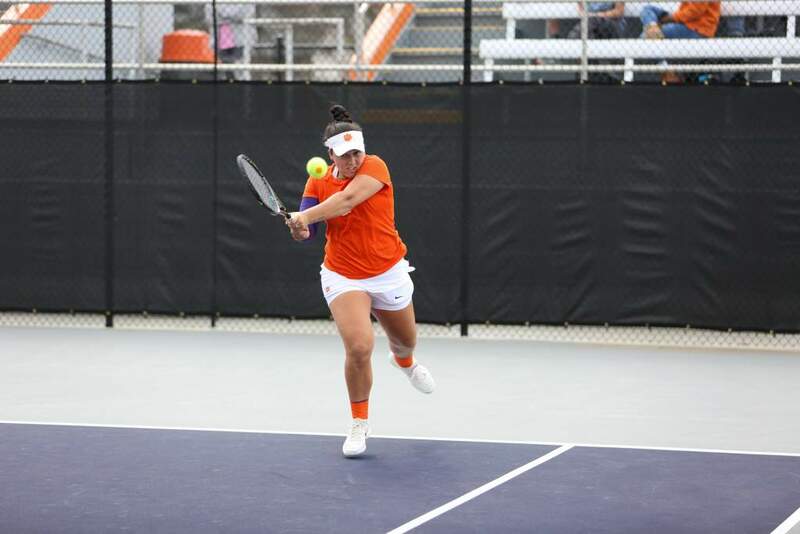 “When Virginia Tech got to the National Championship game two years ago with a schedule that included Division I-AA James Madison it made it more difficult to get coaches to take a chance. What if Virginia Tech had gone to Mississippi State that year instead of playing a home game with James Madison. They might have lost and that one loss would have knocked them out of the Sugar Bowl. Until there is an 8-team (or more) playoff, it is a risk for a team to play a difficult non-conference schedule. “We have some attractive future games under contract with Georgia, Auburn, and Texas A&M coming up. They are all home and home situations. “I really don’t know the answer. I suggest you give Van Hilderbrand a call at the ticket office next week. The University is closed for Spring break as I answer these questions, or I would give him a call. He can be reached at 1-800-CLEMSON. We are always looking for parking answers. I have the same problem finding places for the media. “The internet is a two-edged sword. It helps in many ways when it comes to distributing information. We used to do a weekly mailout, now the media gets our releases and stats off clemsontigers.com. It cuts down on our phone calls to the office because the schedules, results, stats, etc are on the site. “But, it adds some problems when it comes to releases. There are no more delays until the information hits the general public, it is out there immediately. The chat rooms certainly add work because half the time items that are posted are wrong, but the media wants these things checked out. “It does appear that the NCAA Tournament games are more physical. It has been that way for years. But, I have never heard of Hank Nichols sending out a directive to ACC officials to call the game looser once they get into the NCAA Tournament. “I think the media coverage of Clemson in this state is fair. When you think they aren’t covering our Olympic sports check out a newspaper in a pro sports town. Georgia Tech is number-one in the nation in golf and struggles to get its scores in the paper. Same is true for their baseball program. “The Clemson Tiger Network just hired Don Williams, a veteran of the radio industry in this state and I am sure he will do whatever is possible to improve our coverage in Charleston and other areas of the state. “I know many of the coaches are going to incorporate more purple into their uniforms next year. I am not sure of any specifics. It is a matter of opinion. I know a lot of people think the reflex blue looks better with the purple. “When we beat NC State in football in 1991 wearing purple jerseys everyone thought it was great. When we were blitzed by California in the Citrus Bowl that year it didn’t look so good. “Our coaches spend more hours recruiting and coaching the players who will wear those uniforms. “When I was at Notre Dame it had terrific fan support. My senior year when Notre Dame beat San Francisco in basketball when they were #1 in the nation, NBC voted the student body the Player of the Game. That has never happened anywhere else. “But, over the years Notre Dame has become more of a “Wine and Cheese” Crowd, as former Florida State guard Sam Cassell once said of the crowd of North Carolina. The student body is not as boisterous as they used to be. I don’t think they are accepting as many all-around students at Notre Dame like they used to. 1400 SAT and you are in. Many of the alums and current professors sold their tickets to the Nebraska game last year and Notre Dame Stadium was half red. The game went into overtime and Nebraska won. That wouldn’t have happened 20 years ago, it wouldn’t have happened five years ago. “I think Clemson’s fan support is very good. The reputation we had in the 1980s in football is returning. 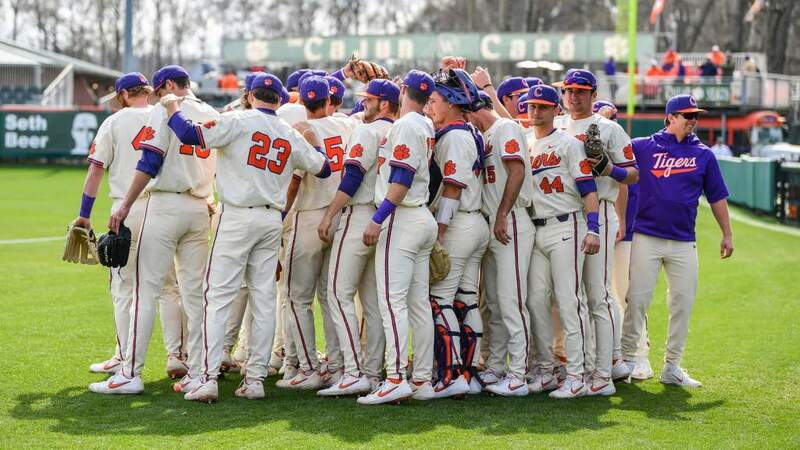 “The only difference is that Clemson’s support is more regional. But that is a function of the geographic makeup of each school’s enrollment. But, that doesn’t make any difference on a Saturday afternoon. “The best part of the job is working with the student-athletes. They keep you young. It has been that way for a long time. I am still good friends with former athletes like Bobby Conrad, Jeff Davis, Sharone Wright, Neil Simons and many others. Seeing them go on to be successful is rewarding. “Every time I see Chris Whitney’s name in an NBA boxscore it brings a smile to my face. His senior year I helped him set into the NABC national All-Star game and that helped him get enough notice to be drafted. He has always been appreciative and is a great representative of Clemson. “We have a lot of outstanding student-athletes at Clemson today. Woody Dantzler keeps me on my toes, believe me. Promoting him for awards takes a lot of time and work, but he has it in perspective so it is worthwhile. You won’t find better role models than Kyle Young and Chad Carson. You see that in all sports at Clemson. I haven’t seen many better than Erin Batth in my 23 years at Clemson. “The worst part is the hours. It is a 7 day a week job for me from the beginning of football practice in August to the end of the last spring event in June. Someday I will be able to play golf on a Sunday in the fall. I am looking forward to that. “There is no talk of adding any other sports to our current setup. I am not involved in those decision. I know from talking to schools who have added softball that it is an expensive sport to start because you have to build a stadium. We just added rowing two years ago and that is a sport that gives a lot of ladies a chance to compete at the varsity sport level. They have done quite well and we will play host to the ACC regatta this April. “Back to Charlotte this year, then to St. Petersburg. It has not been determind past 2002. I hope it comes back to Greenville, those were exciting tournaments with over 9000 fans at some games. 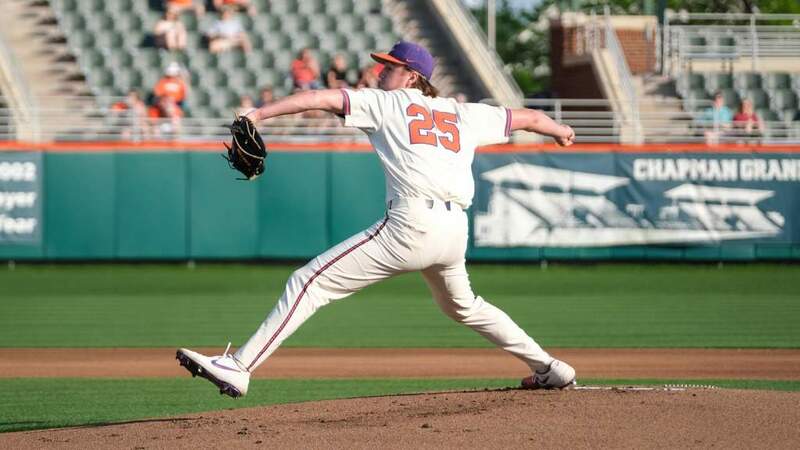 It was an exciting atmosphere when Clemson played Florida State in Greenville. “I think Woody will be playing quarterback and I won’t look for him to be at another position this year. He is a great athlete, capable of playing other positions. But, I could see the Tigers running some option with him at quarterback this year. “One would think that the NBC contract would give them a big advantage, but they haven’t won a national championship since the contract began in 1991. They really haven’t been close since 1993 when they finished second. “Bob Bradley made so many contributions to the industry I could spend the rest of the day documenting them. For instance, he invented the publication awards that are still given today. “But, his most important contribution to the industry was the professional, yet personable approach he brought to the job each day. He treated everyone the same whether you wrote for a student paper or Sports Illustrated. I can’t tell you how many times I am faced with a problem and I just visualize how Mr. B would handle the situation. He has provided me with a valuable guiding light. Having worked for him for 11 years I saw him in about every possible situation. “Ninety percent of all transfers at the Division I level are about playing time. “That is one reason why I think the NCAA needs to review the way it looks at graduation rates. Transfers count as non-graduates, even if they go to another school and graduate. Pasha Bains has a 3.4 GPA, and is headed for law school down the road. He will count as a non-graduate on Clemson’s graduate rate report in about four years. 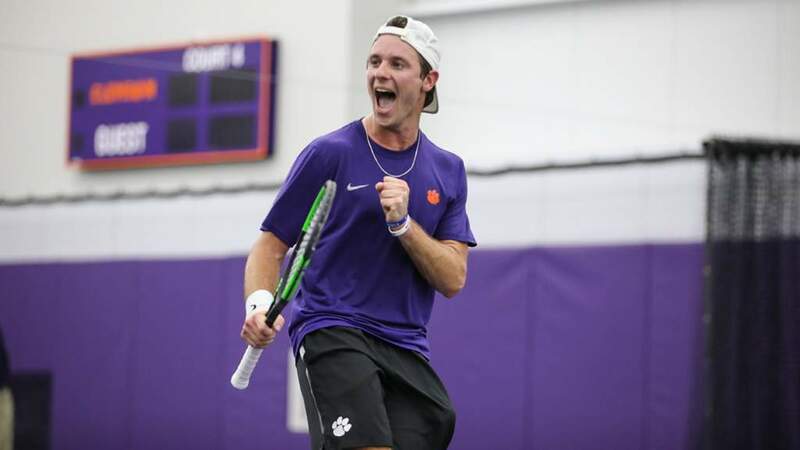 “Recently, former Clemson player Chris Dodds became CFO of the Charles Schwab Corporation in San Francisco. He was academic All-ACC three times at Clemson, has an MBA from the University of Pittsburgh. He transfered to Clemson after a year at Davidson, so he counted as a non-graduate on Davidson’s graduation rate report a few years back. How absurd is that? “That would not surprise me. Commissioners have to keep up with the changing landscape of college athletics. Look how much change there has been in the last 10 years. Florida State, Penn State, South Carolina, Arkansas, those changes have had dramatic impact on college athletics. “I personally don’t think there is as much cheating in college sports as there was 10 or 20 years ago. The reduction in the maximum amount of scholarships has a lot to do with that. The NCAA usually has a good reason for the decisions that they make at the end of investigations. “What you read in the newspapers is not always the focal point of an investigation. A lot of that is rumor and not the facts. “The most memorable or important football game would have to be beating Nebraska 22-15 to win the national championship. You can’t get anything better than winning the national championship. But, the most exciting game would be the 31-28 win at Georgia in 1986 when David Treadwell kicked a 46-yard field goal (longest of his career) to win the game on the last play. “Basketball would be Clemson’s 87-82 overtime win against Duke on January 9, 1980. Duke was #1 in the nation. The game was not on TV so there were 13,864 fans in Littlejohn Coliseum an attendance record that will not be broken. I have pictures from that game, 360 degrees of people in Littlejohn that night. “Baseball would be the 14-13 win over Alabama in the 1996 College World Series. “The most shocking victory would be the win over North Carolina in basketball this year. North Carolina had won 18 in a row, we had lost 8 in a row. It was the first time in 23 years that a team with a losing record after January 10 beat the #1 team in the nation. Next week’s guest on “Ask The Tigers” will be the defensive coordinator for the Tigers, Reggie Herring.